Last month saw my first official art exhibition take place at the 5* Lowry Hotel in Manchester. 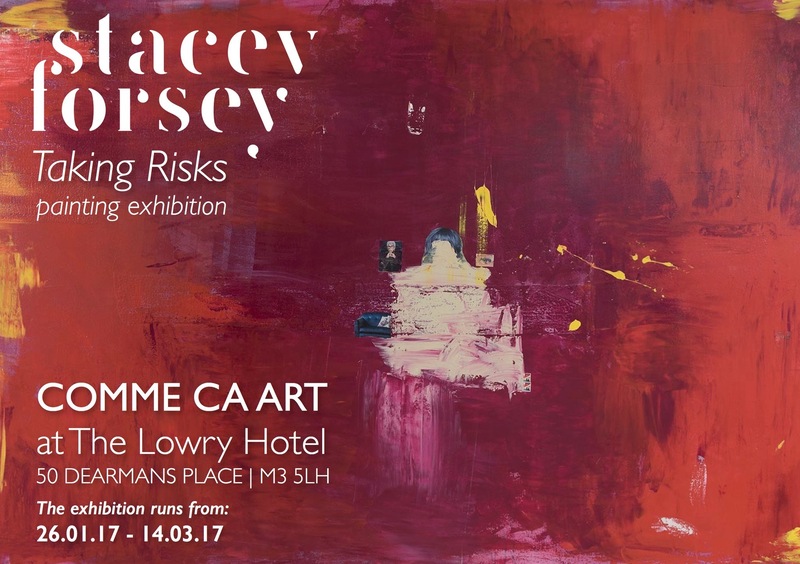 Entitled ‘Taking Risks’, the exhibition was in conjunction with the Northern Quarter gallery Comme Ca Art and ran for four weeks. I was delighted to be able to showcase some of my previously unseen works including My Way and Go With It and introduce guests to my love of colour and vibrancy. It’s definitely been an ambition of mine to hang my art in a public space and I’m so pleased with how it was received, I really feel like my dreams are turning into a reality and I’m grateful to be able to share that with you all. Please have a look at my Art pages on the site to see my paintings and watch this space for details on my next exhibition!